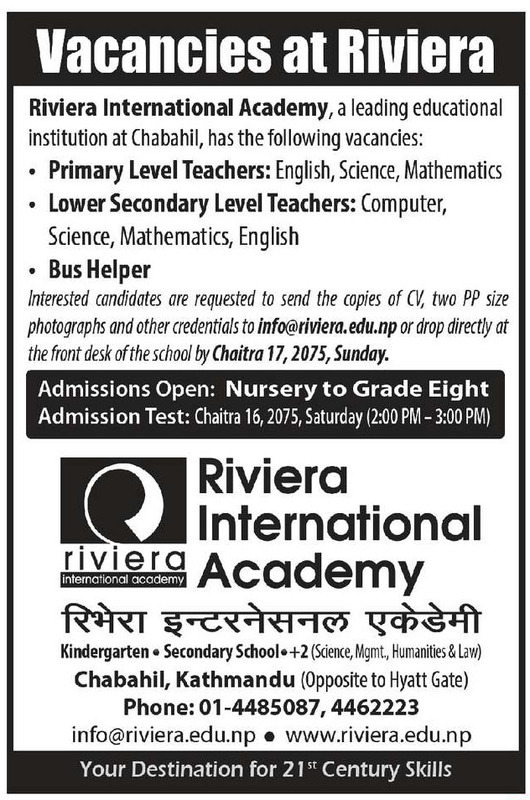 Vacancy At Reviera International Academy: Reviera International Academy published a vacancy notice to fulfill the following posts. Interested candidates can send the copies of their CV, PP size photo and more credential to info@reviera.edu.np or can visit before 2075 Chaitra 17. Check below for the official vacancy notice that published on Kantipur Daily.